Knee pain affects patients of all ages, including an estimated 29% of adolescents and 25% of adults. Keith Smigiel, FNP-C, DC, FIAMA, of ReGen Pain & Wellness, specializes in multimodal treatment for knee pain that incorporates chiropractic techniques, regenerative injections, and physical therapy. If you suffer from knee pain, Dr. Smigiel can help you find relief and provide the therapy you need to restore optimal function. 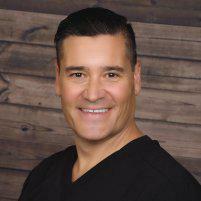 To schedule an appointment, use the online booking feature or call the office in Scottsdale, Arizona. What commonly causes knee pain? Your knees carry the weight of your body while repeating the same movement, a combination that makes them susceptible to injury, inflammation, and degeneration. Your risk of developing knee pain only increases when you figure in extra stress, whether due to strenuous sports activities or gaining weight. When a fracture occurs, it most often affects the kneecap, but you can also break the thigh bone or shinbone where they meet in the knee joint. A fracture causes severe knee pain, as well as other symptoms. What symptoms develop when I injure my knee? If you fracture any of the bones in your knee joint, you’ll experience pain and swelling. You may also develop bruising, have limited movement, and find that you can’t put weight on your knee. While knee pain typically worsens when you’re active, it’s also common for pain to develop when you sit still for a while with your knees bent. 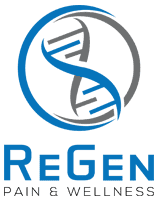 How do regenerative therapies treat knee pain? The platelets naturally found in your blood are rich sources of growth factors. When your knee is injured, these substances accelerate healing by stimulating the growth of new tissues. When Dr. Smigiel injects a concentrated amount of your own platelets into the damaged area of your knee, growth factors go to work, healing the underlying problem, reducing inflammation, and relieving your pain. Stem cells promote healing by releasing tiny sacs called exosomes. Exosomes contain biochemicals and DNA that stimulate cellular activity. When they’re injected into your knee, exosomes promote wound healing, activate the release of growth factors, and stimulate cellular regeneration. What other treatments alleviate knee pain? Soft tissue massage and chiropractic mobilization improve knee movement and alleviate knee pain. Dr. Smigiel may also recommend spinal adjustments. A spine that is is out of alignment, places stress on the knee, causing or worsening knee pain. You can also receive physical therapy and functional rehabilitation at ReGen Pain & Wellness. During functional rehabilitation, your customized treatment helps you return to the level of activity and performance you enjoyed before your knee pain developed. To receive treatment that relieves knee pain, call ReGen Pain & Wellness or book an appointment online.